I admit that I devoured Sabrina Covic Radojicic’s book with enormous sympathy, provoked mainly by the quality of its content, and not frstly by my friendship with the author. 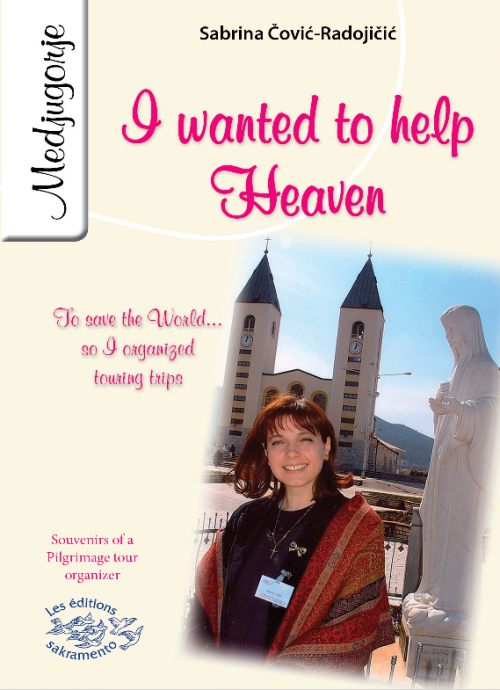 Te book presents, through interviews, a ‘seer’ of the Virgin Mary in Medjugorje, Mirjana Dragicevic Soldo. The first thing that one expects from a ‘seer’ of Mary is that she has actually ‘seen’ Our Lady. Having read this book, I have every reason to believe that Mirjana has ‘seen’ Mary. However, it is not for me to say it as if it has been a proven thing. It’s not within my jurisdiction…. 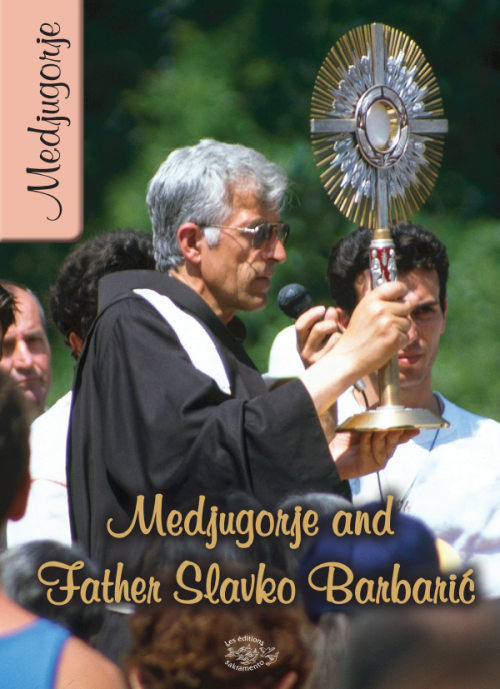 I admit that I devoured Sabrina Covic Radojicic’s book with enormous sympathy, provoked mainly by the quality of its content, and not frstly by my friendship with the author. 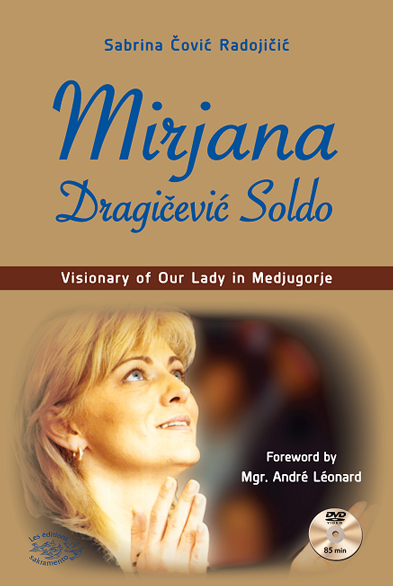 Te book presents, through interviews, a ‘seer’ of the Virgin Mary in Medjugorje, Mirjana Dragicevic Soldo. The first thing that one expects from a ‘seer’ of Mary is that she has actually ‘seen’ Our Lady. Having read this book, I have every reason to believe that Mirjana has ‘seen’ Mary. However, it is not for me to say it as if it has been a proven thing. It’s not within my jurisdiction. It may happen one day that the Catholic Church will recognize the authenticity of the ‘apparitions’ of Medjugorje, but it is not possible now because three of the six ‘seers’ still have daily ‘apparitions’ while three others have monthly or yearly ‘apparitions’. Only when it is finished does the Church recognize the authenticity of an alleged supernatural phenomenon. At most, we hope that it will continue to look favourably, to recommend the pastoral care of the ‘pilgrimage’ (one of the largest in Christendom), that it currently cannot condemn peremptorily nor give it’s cautious approval oficially, despite the exceptional fruits of grace that have been given there. What I also expect from a ‘seer’ is that nothing in her/his testimony contradicts the teaching of Jesus and of the Church. Everything is correct here. There is a great accuracy in content and in tone, and in all the strictly religious topics in the interviews! Furthermore, in terms of behavior, Mirjana never puts herself in the light nor does she consider herself as ‘privileged’. She presents herself as a mere ‘transmitter’. Stubbornly, patiently, she always makes a distinction between what Mary would have told her and her own personal opinions that she invariably submits, in religious matters, to the authority (I quote) “of my Church and my pope.” Tirelessly, she repeats that every Christian can ‘see’ Mary with the heart, and she considers that this is by far the most important. She makes herself available for pilgrims to share her experience and above all the ‘messages’ that she says that she receives, but she does not run after the crowds to highlight herself. On the contrary, as far as it is possible for her, she seeks to lead a simple life, like any other woman, cultivating moments of solitude, in prayer. She has clear views on the moral quality or not of multiple behaviors, but she never wants to judge anyone. Furthermore, when she is concerned personally, she says that she tries, with humility, to do the will of God, in the hope that one day she will know that eternal joy of heaven, of which the ‘apparitions’ give a ﬂeeting foretaste. Success, comfort and money do not seem to interest her. She simply seeks to make her living by working and she loves to have a nice outft (especially on Sundays! ), and in maintaining the beauty of the family home, as normally every woman does; every wife and every mother. By her answers to so many various issues, she appears, in fact, as a ‘normal’ woman and Christian, absolutely ‘normal’; an essential quality of any person who would be the beneficiary of ‘visions’. As for her many physical pains, she lives them modestly, like everyone else, without playing the heroine, and with the support of her husband and two daughters. Even on the difficult relations, indeed totally absent like she says, with “her” Bishop, she is of a perfect delicacy. She expresses her pain, her desire for a real relationship, but without emitting any harsh criticism. She hopes for a ‘thaw’ and in the meantime, she faithfully prays for the man she calls, with affection, “my bishop”. Tis book has the virtue of spontaneity and even spontaneity that men judge typically feminine. Hence a certain prolixity. For more intellectual temperaments (like mine…), it would have benefited from being shorter. Sabrina Covic Radojicic has asked all conceivable questions. To be sure, she even often asked them several times, earning besides Mirjana’s frequent reaction: “As I’ve already said…”! Despite these little teasings from my part, I confess that this book brought me so much good, by inviting me to have with my Mother, the Virgin Mary, an even easier and more loving relationship. So thank you to Mirjana and Sabrina for their testimony, so engaging and with such a rich content!